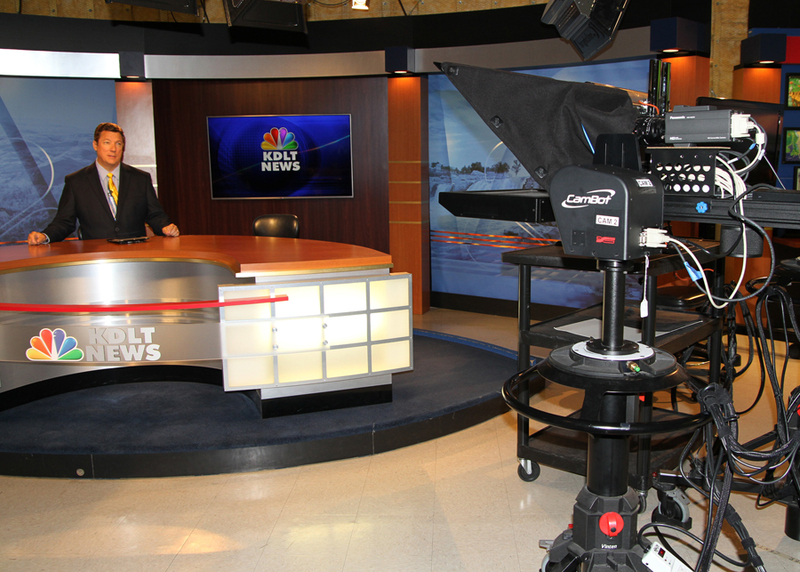 KDLT is an NBC affiliated local news network in Sioux Falls, South Dakota. KDLT broadcasts in Eastern South Dakota, Southwestern Minnesota, Northwestern Iowa, and parts of Nebraska. Earlier in 2014, John Lane, Chief Engineer at KDLT, and his staff decided that it was time to upgrade the news department to HD video. The station had been broadcasting network HD programming content, but the local newscast remained in SD. They were also using legacy tape formats and wanted to move to a tapeless news production workflow. KDLT was also searching for ways to make better use of their staff time, allowing them to be more flexible and work more productively. They had studio cameras that required manually operation, and were open to solutions that could make this aspect of their production more efficient. KDLT partnered with Alpha Video to provide a system design, install the proper equipment, and conduct necessary training. The studio camera solution included three Panasonic AW-HE870 compact cameras. To help their staff work more productively, they decided to switch from manual studio cameras to a Ross Video CamBot robotic camera system. 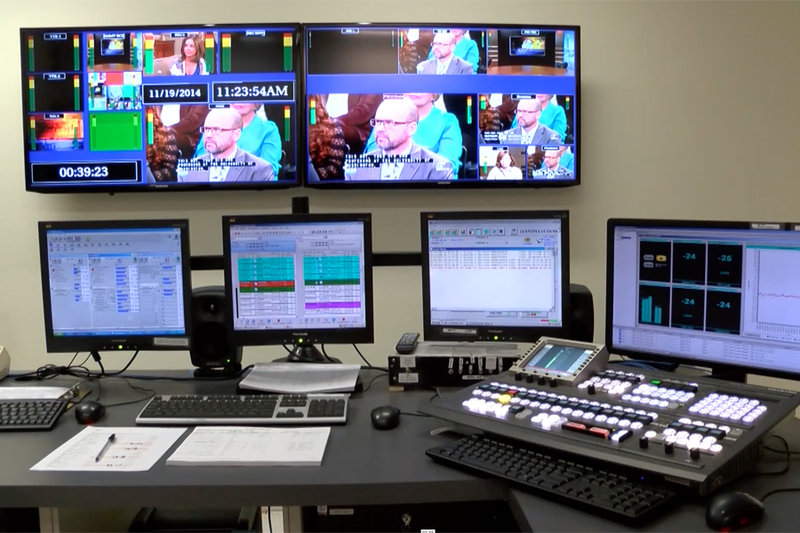 Together, KDLT and Alpha Video decided that the best way to achieve their primary goal of broadcasting in HD was to purchase a Ross Video Carbonite +2M production switcher. KDLT found that the Carbonite was the most cost-effective option, with the most features. They use the Carbonite not only to broadcast in HD, but the switcher serves as the core of the KDLT control room. It also enables direct control of XPression, Ross Video’s CG & graphics system. 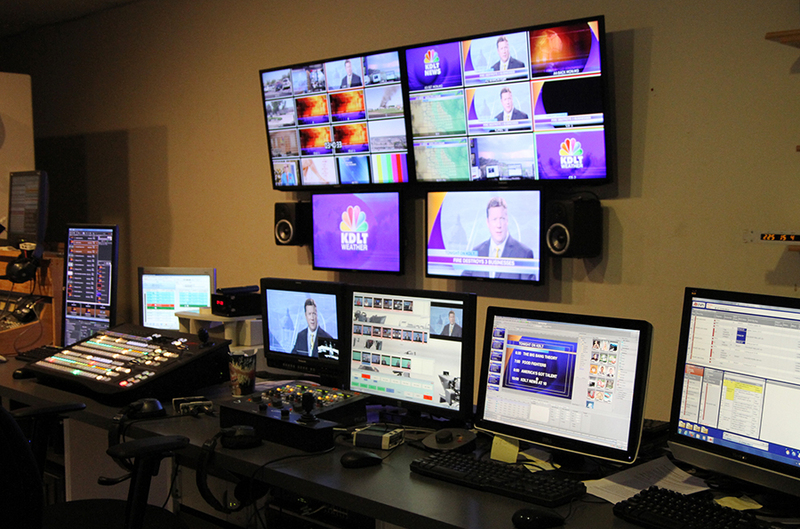 Regarding playout, the station selected the Grass Valley Summit Server and a Grass Valley Solo system as back-up. For shared storage, a Studio Network Solutions EVO was installed so that the staff could share video clips from one editor to another. This greatly improved the workflow at the station. 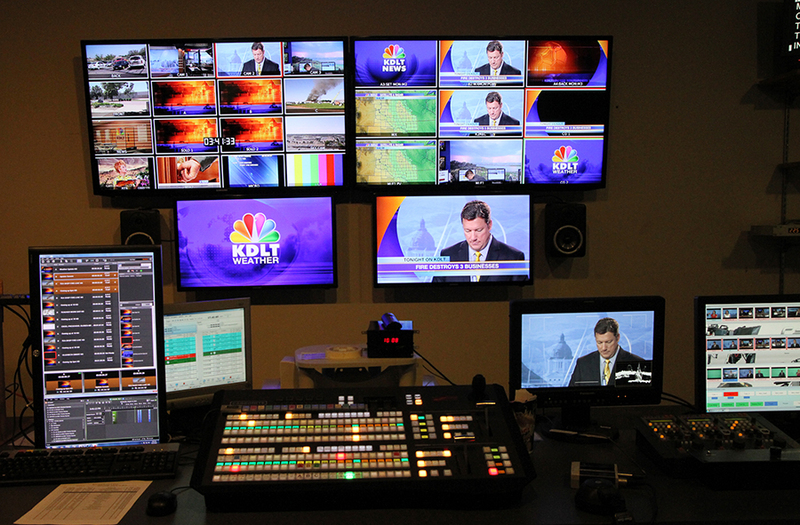 KDLT is now able to broadcast their entire production in HD and can work far more productively due systems designed and installed by Alpha Video.